The monthly e-newsletter selects up to 5 news posts with this category. Priorities would be news relevant to a wide number of people and especially of interest to visitors or new folk. 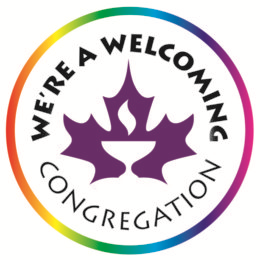 Are you interested in connecting with other young adult (18-35 year old) Unitarian Universalists? Gathered Here is a monthly 75-minute online check-in and gathering that will give you a chance to meet … read more. Why do I love transit? It all goes back to my little red wagon and the joy of my body being powered by a force other than my own. With the wind in my hair I watched the world go by with a singular focus … read more. May Days – Keep this list! UCV has many celebrations lined up to celebrate the coming of the May! You can plan a staycation and hang out at our campus for most of the weekend! Fri. May 3 – 6:30 pm – GSA (Genders and Sexualities Alliance) … read more. From World Labyrinth Day (May 2018), photo of Sandy serving her herbal teas to an enthusiastic group. Sandy makes a ginger-sugar syrup and uses apple mint for the tea. We’ll have several craft activities for kids and others for World Labyrinth Day, but of course … read more. The grape hyacinths are in abundance. Snowdrops and crocuses have now gone back underground. We have a few daffodils lingering on and the tulips are blooming. The primulas are in full bloom or coming into their own. Thanks to Hanno for the pale pink perennial primulas. Last … read more. The Canadian Unitarian Council was a co-sponsor of the pass Bill C-262 rally on Saturday, April 6th. Representatives of all 4 Greater Vancouver Unitarian congregations spoke including Leslie Kemp from UCV. The Truth and Reconciliation Commission has called Canada to adopt and implement the UN Declaration … read more. Last month, Steven preached on Religious Naturalism. The service was so well received with numerous comments on our email list from as far away as Ecuador, that we’ll get “Take Two” this coming Sunday, April 14. Here’s the sermon from earlier. If you want to … read more. Several of us in the Westside Unitarian Neighbourhood Group are embarking on “forest bathing” in Pacific Spirit Park. If you’d like to know when we’re going for a walk (probably 1-2 hours), let Mary know and she’ll send you a note when we have … read more. Do you want to deepen the practice of compassion in your life and in your world? 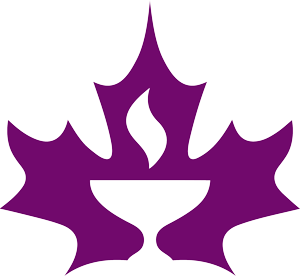 Consider the following two upcoming opportunities: UCV’s Compassion Circle (now in its third year) and the Compassion Course Online (originating in New York). The UCV Compassion Circle is starting a … read more. Ryan McMahon, the Anishinaabe activist, challenged us to read and engage with our foundational laws, treaties, Acts, and official Commission reports and recommendations. “Let’s use pre-existing documents, studies, inquests, etc. that have done ALL the heavy lifting for us,” he said. “It’s not too … read more.